Rattleware Thermometer Clip Milk Frothing Pitcher - 20 oz. 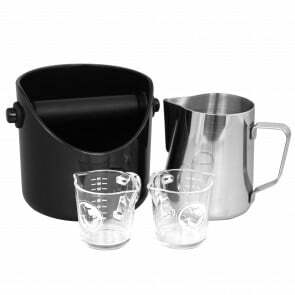 Rattleware Handle-Free Milk Frothing Pitcher - 16 oz. 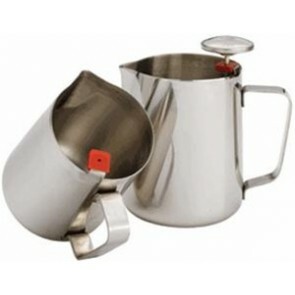 Rattleware Stainless Steel Latte Art Milk Frothing Pitcher - 48 oz.